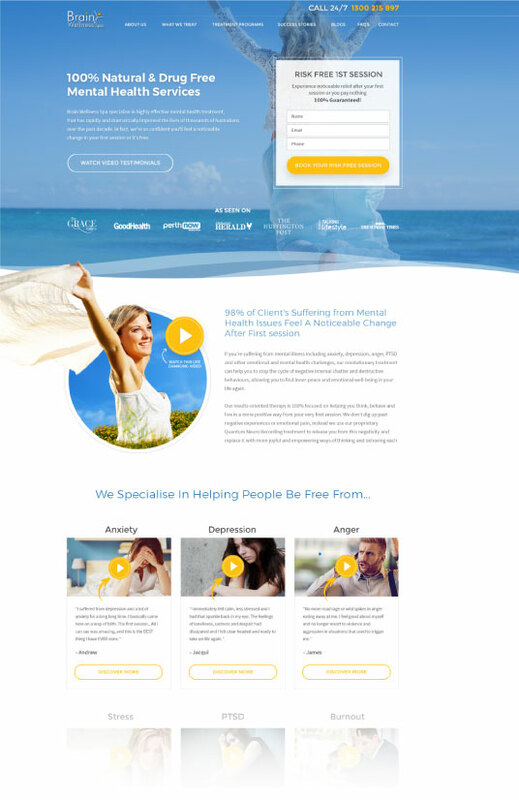 Brain Wellness Spa is a Perth based mental health clinic that helps people overcome all types of mental illnesses using cutting edge neuro therapy techniques. They also work with athletes, executives and entrepreneurs to unlock their brains full potential and improve performance. Brain Wellness Spa (BWS) was founded in 2004. 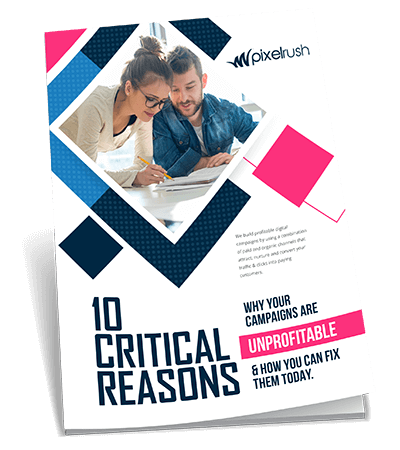 In the early years the business grew organically on word of mouth sales, but overtime growth began to flatline as the company had no consistent and profitable lead generation system to rely on to bring in new business.. It was at this time owner Terri Bowman first decided to engage a digital marketing company to help with SEO and try to increase leads and sales. Over the next 3 years Terri invested over $100,000 with 7 different SEO agencies, with very disappointing results as Terri explains below. At this time Brain Wellness Spa was turning over $350,000 and had 2 part time staff. Terri informed Pixel Rush her goal for the SEO campaign was to increase the number of new monthly clients from 30 to 60 new clients. Redesigning the existing website as it was confusing, lacked unique selling points and lacked social proof. Focused our SEO efforts on keywords that generated sales, not just traffic or high rankings, and attracting customers with buying intent. Complete custom website developed which involved improving the website and landing page copy, designs and offers to increase conversion rates. Converted a struggling adwords campaign into a structured and highly profitable campaign by targeting clicks with buying intent. Developed new sales copy targeted directly at our ideal customers and added reviews, case studies and video testimonials which dramatically improve the trust in the BWS brand. By implementing the above strategies as well as guiding Terri on her overall digital marketing strategy, we were able to achieve Terri’s goal of doubling new monthly leads from 30 to 60 in just 3 months. Terri has now increase her ongoing investment with PixelRush and knows that for every dollar she spends another $6 to $7 dollars more will be returned to her. Completely booked up her schedule and clinic rooms well in advance and is looking at opening a new clinic to handle the excess clients coming through the door everyday.